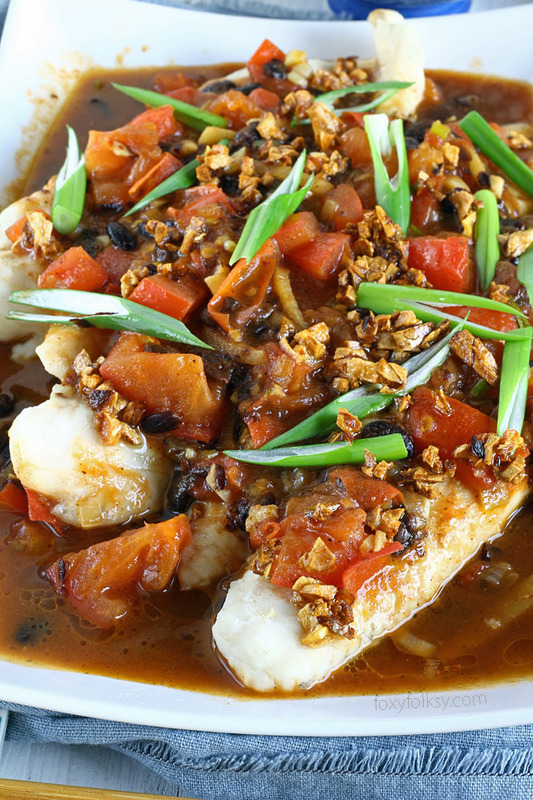 Try this savory Asian dish of steamed fish with black bean sauce. It is easy to prepare and is done in less than 20 minutes. It is like a long-forgotten memory that has resurfaced as I knock my brains out thinking of what to make of the Cream Dory fillets sitting on the bottom shelf of our freezer. Then a picture suddenly flashed in front of my eyes and I remembered it from a food magazine that a friend gave me 5 years ago as a going-away present when I was just about to leave the Philippines to join Armin in Germany. Being newlywed and all and trying to please my husband, her thoughtful gift helped me a lot! Thanks Roms and I want you to know I still have the magazines you gave me! 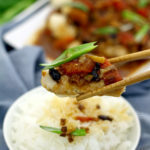 This recipe of steamed fish with black bean sauce or Tausi, as we call it in the Philippines, is actually inspired by Yummy, a popular Filipino food magazine. They featured it in their August 2011 Easy Asian Edition. 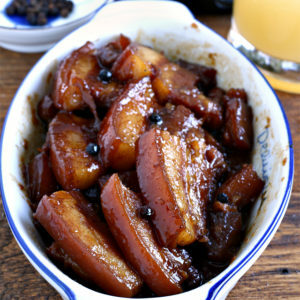 I like their take of adding gin to the sauce so I copied that but I changed the procedures and some ingredients a bit. I used dried fermented black beans (Tausi). You have to remember to wash them before using, however, you can also use the canned ones. My mama used to cook something similar when we were younger. 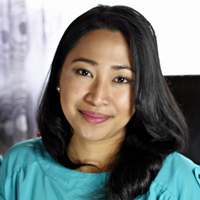 Sans the gin and she usually use milkfish, and instead of steamed she usually fried them. 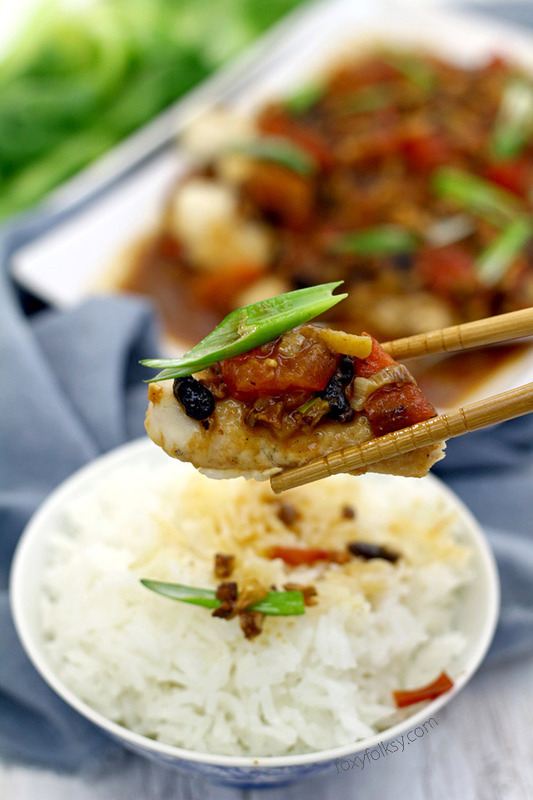 So if you do not have a steamer, frying the fish also works for this recipe. 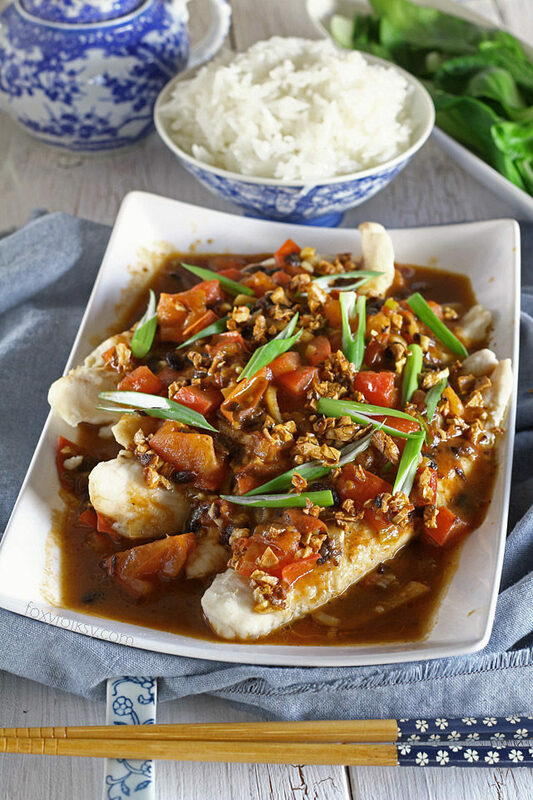 Steam cream dory fillet for 15 minutes or until cooked through. Meanwhile, heat oil in a skillet over medium heat. Take 3/4 of the minced garlic and cook until browned. Remove from oil and transfer to a small bowl. Set aside. In the same oil, saute the rest of the garlic and white part of spring onion over medium-low until tender. Add ginger and cook for another minute. Add the tomatoes, fermented black beans, oyster sauce and gin and let it simmer for a minute. Then pour in water and season with salt and pepper and let it cook for 5-7 minutes until tomatoes are soft and tender. 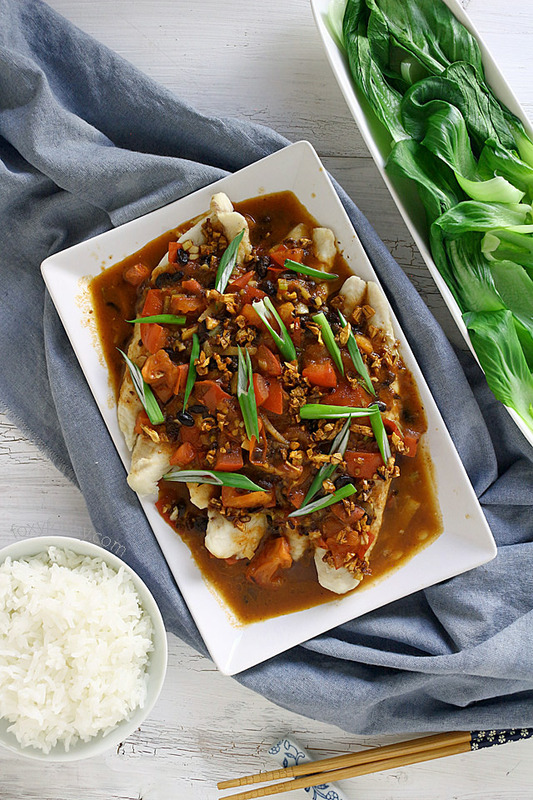 Arrange steamed fish on a serving plate then pour the sauce over the fish. Sprinkle with toasted garlic and garnish with the green onion springs. Hi! I came across your site while looking for recipes to cook for my family. I’m also a Filipino and have always been curious about Tausi as I always find it in menus from family restaurants here but never really knew where it came from or never came across it before in supermarkets. Or maybe I just wasn’t looking?? I’m off to the supermarket now to search. 🙂 Will try this recipe out but I think I’ll be going the breading and frying route. Thank you! Hi Vanessa, sounds like a good plan! Goodluck with the Tausi search and I hope you find some. ???? Hi Dan, you can sign up to my newsletter here: SIGN UP! 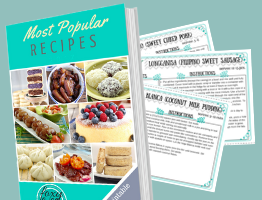 and you will get an email everytime I post new recipes and you will also get a FREE recipe ebook with printable recipe cards that you can collect as I will issue more in the future. I am also working on a blank recipe card where you can fill it in (copy & paste) with any recipe you would like to print. PLUS you have the chance to win our monthly giveaways! I will see what I can do about emailing you a list too :-)!